 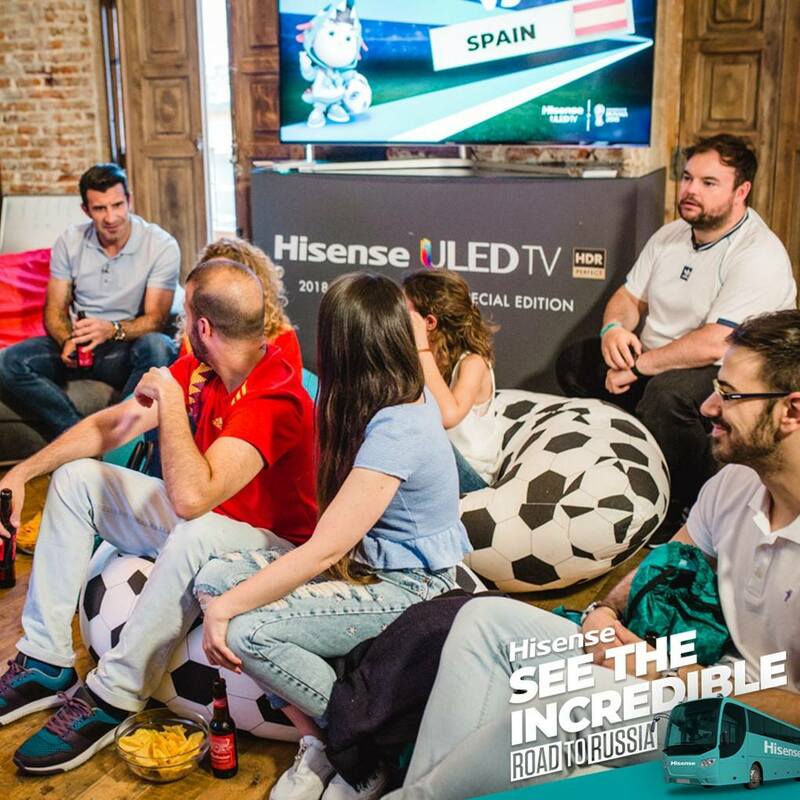 Watch FIFA World Cup™ matches together live with local FIFA legends! 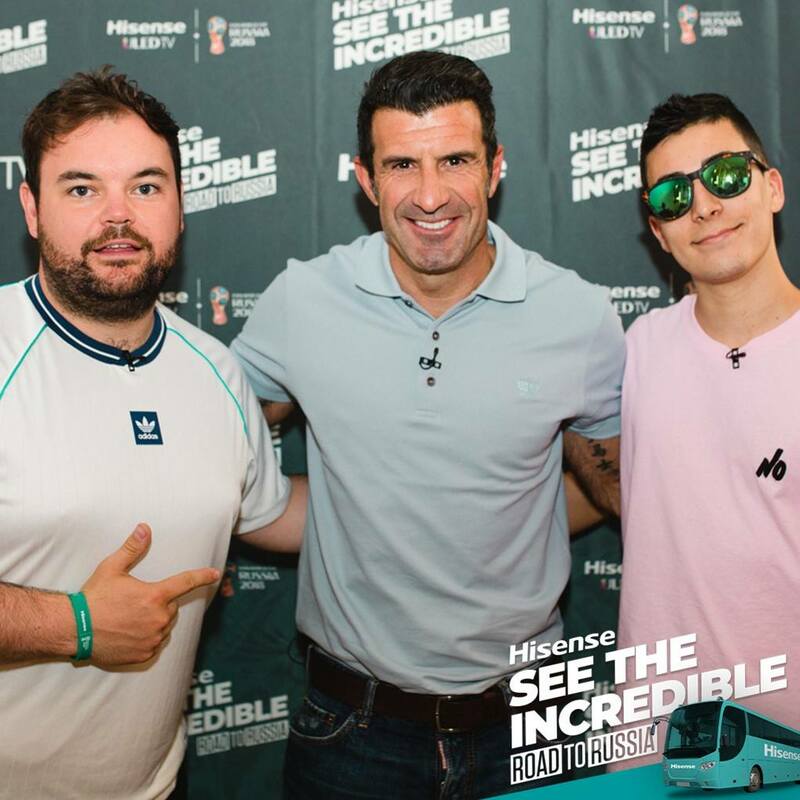 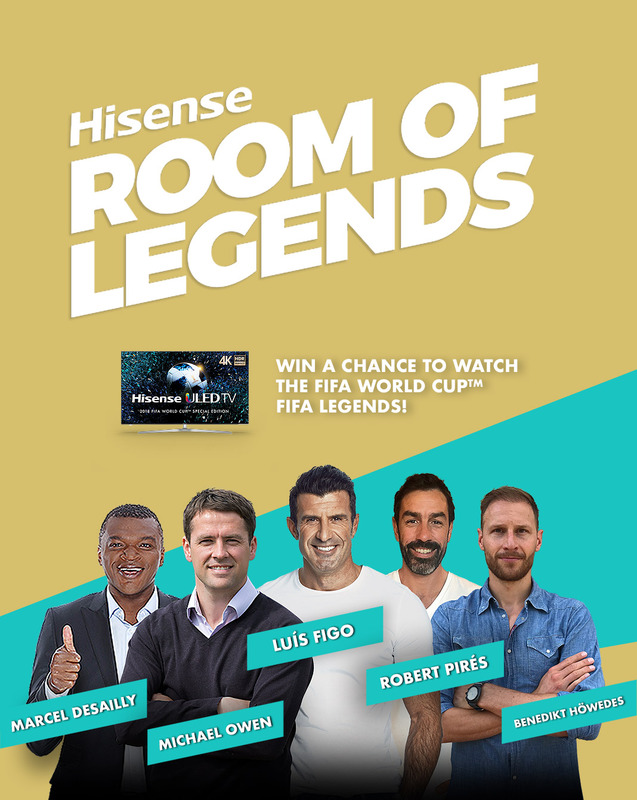 Win a chance to chance to watch FIFA World Cup™ matches with Portugal's Luis Figo, France's Robert Pires, England's Michael Owen, and Germany's Benedikt Howedes! 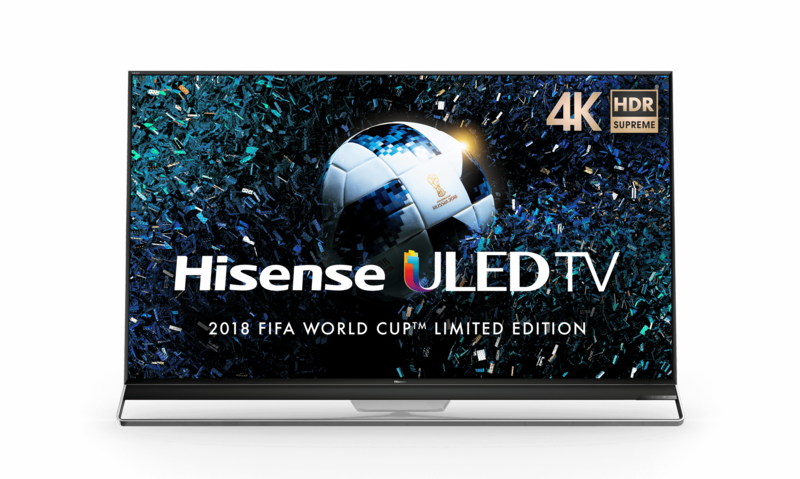 Come follow all the stories, matches, and fun of the 2018 FIFA World Cup™ with Hisense. 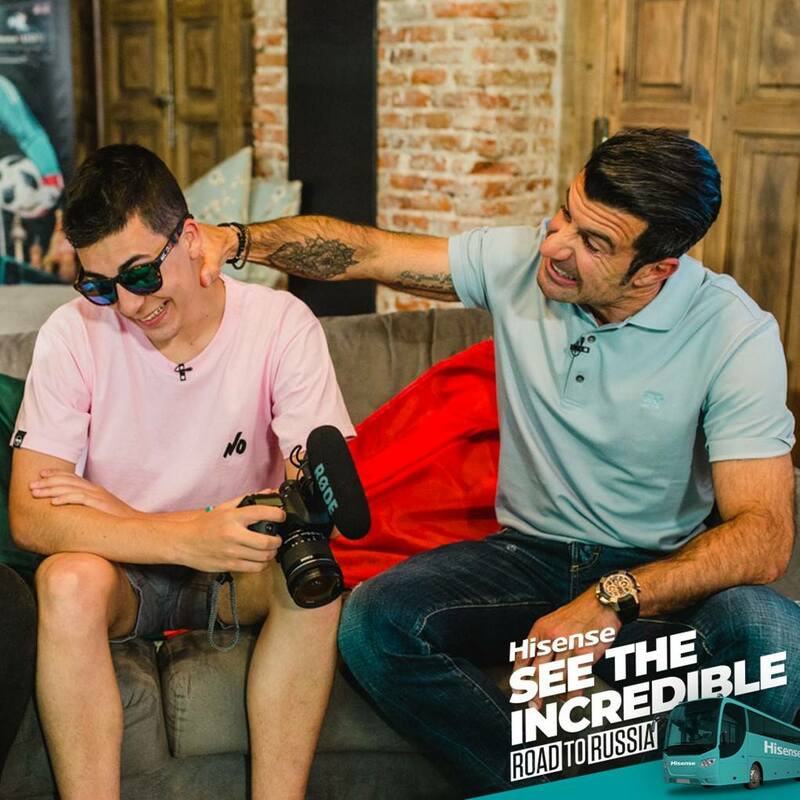 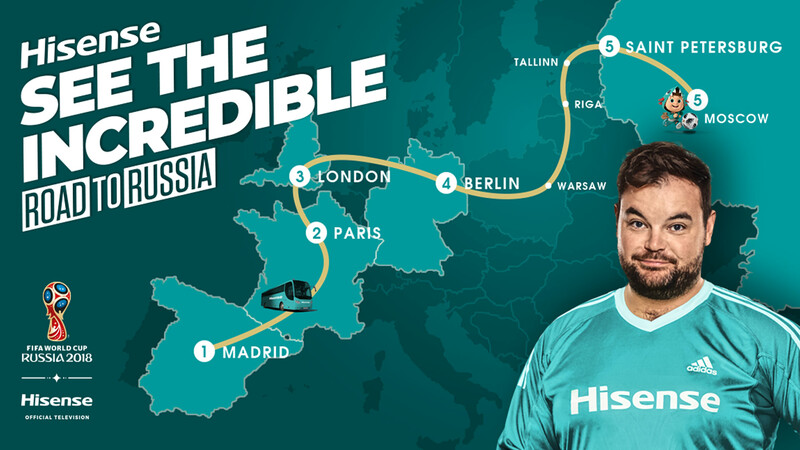 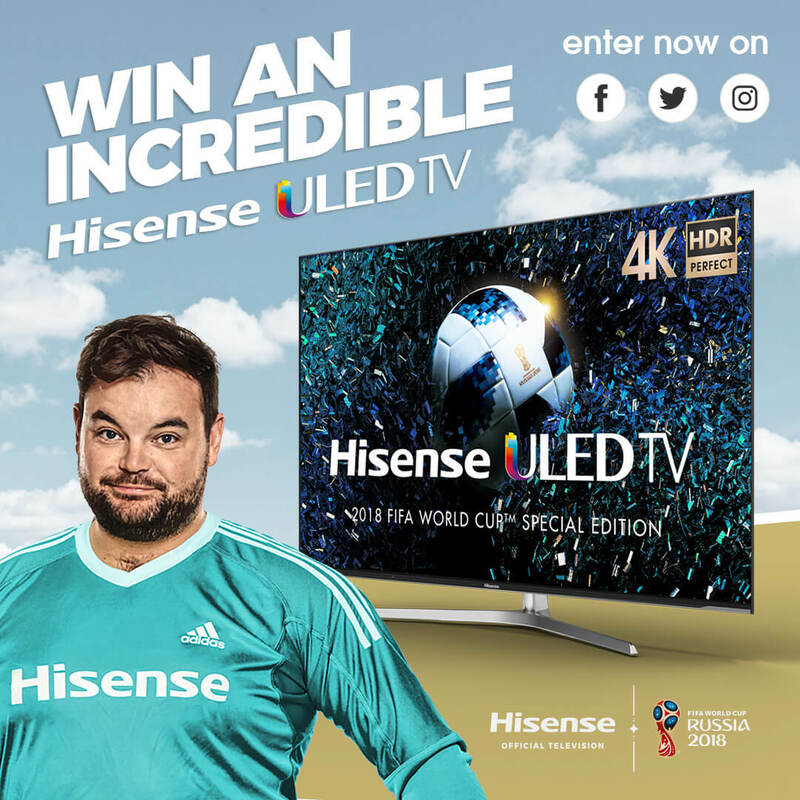 Follow the Hisense See The Incredible Tour on Facebook, Twitter, and Instagram for a chance to win a 65" Hisense 4K ULED TV and tickets to the 2018 FIFA World Cup™.